Late last week, RT reported that the State Department had approved ordering 630 pieces of sniper equipment for the Ukrainian army, including dozens of Leupold Mark 6 optical sight kits, tripods, laser range finders, camouflage kits and other items. 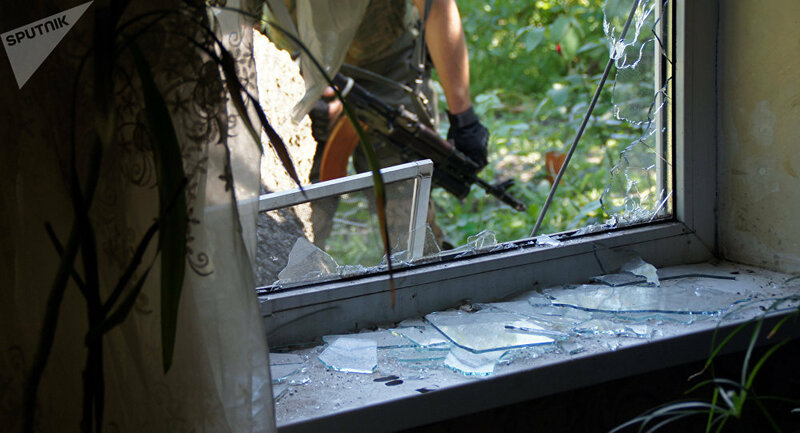 Meanwhile, Donetsk People's Republic intelligence has indicated that foreign instructors have been spotted training Ukrainian army snipers right along the contact line between militia and Ukrainian army positions in recent weeks. Commenting on the latest piece of news from the deadly Ukraine drama, military and political affairs journalist and RIA Novosti contributor Alexander Khrolenko wrote that the US role in the country and its civil war was "completely transparent." According to the observer, US policies "are aimed at escalating the confrontation in the Donbass, and trying to draw Russia into a protracted armed conflict. They want to deal with us through intermediaries – at the hands of 'inexpensive' Ukrainian and Eastern European vassals. And if the flame of the Ukrainian civil war is extinguished, they may use Georgia, or mobilize the Baltic states. In any case, a pretext will be found." 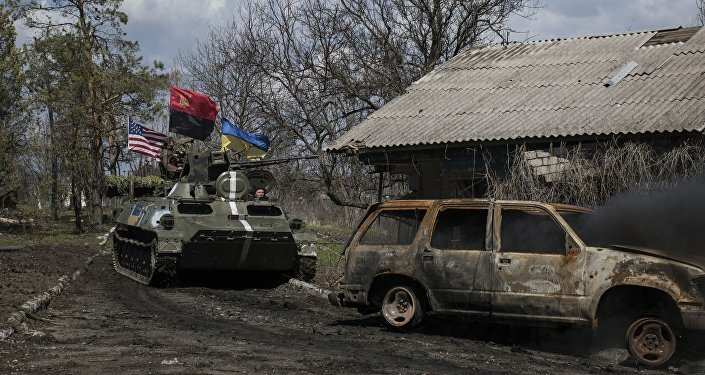 "At the same time, Washington is not shy about spending money, concentrating troops on the Russian border, using the instruments of NATO and the non-bloc allies and neighbors of Russia, first and foremost Ukraine," the ultimate goal being to "weaken, destroy or transform Russia, and to push it to the margins of civilization." In this situation, Khrolenko warned the near future do not promise to be a peaceful one for Moscow; "this is evidenced by both the words and deeds of our partners." Last week, after paying a visit to the Donbass, US State Department special Ukraine envoy Kurt Volker suggested that Washington should provide Kiev with lethal weapons to "stop Russia." Volker's remarks were significant, Khrolenko noted, because it's very difficult to achieve peace when the diplomats charged with doing so are running around talking about handing out weapons. According to the journalist, it was hardly worth expecting anything else from Volker, who is a long-time John McCain ally and opponent of Russia. Before his appointment, Volker voiced his support for providing the Ukrainian military with intelligence, anti-tank weapons, and artillery systems. In the summer of 2015, Volker slammed the Minsk ceasefire agreements, describing them not as "a solution, but a problem, because they factually give legitimacy to the Russian invasion of Ukraine." 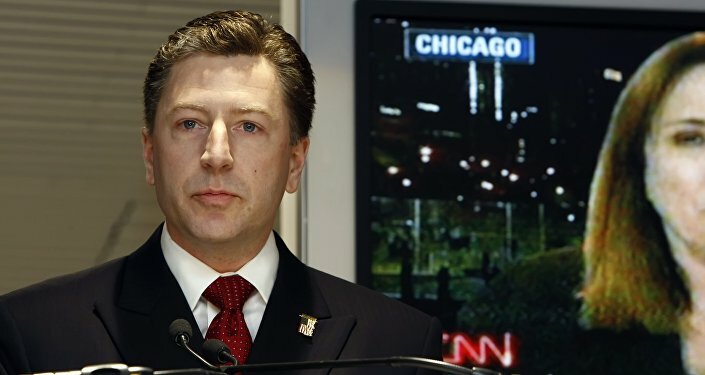 Unfortunately, Khrolenko warned that with his newfound status as the special representative on Ukraine, Volker's appearance may be an indication that Washington hawks and 'moderates' may have come to some sort of an agreement on the idea of "putting Russia in its place," and if that's the case, "this is not good news for Ukraine." After all, "for some reason, in all the countries where the US helps 'fight for justice', bombs have a tendency of always falling. And any preparations (or army rearmament) of local forces by US or NATO structures, as a rule, entails new complications in the affected regions." Also last week, US lawmakers approved a new, powerful package of sanctions against Russia. These measures, according to Khrolenko, are intended to help "subordinate Russia, both economically and politically, and then dismantle its sovereignty and create a comfortable, amorphous (or fragmented) formation in its place as a raw materials appendage to Washington." "From here come the systemic attempts to deform Russian statehood. For the time being this is done using relatively mild forms – through sanctions, an international campaign of disinformation, the financing of Russia's grant-munching pseudo-opposition forces and NGOs, etc. But the technology of blood-stained Maidans does is not without relevance. Undoubtedly, all of this is a form of hybrid aggression, to which Russia has responded in a very restrained fashion." But the logical question which must be asked, according to the journalist, is simply "What's next?" "On the one hand, Russia's military capabilities hinder the flight of the US hawks; the confrontation may drag on for many years, and end for naught for Washington. On the other hand, Moscow and Washington are dangerously drawn into…zones of hot wars (in Europe, the Middle East or the Far East). Serious geopolitical problems which are not resolved at the negotiating table usually end in wars." "Is it not reckless, against the backdrop of geopolitical turbulence, to indefinitely prolong anti-Russian sanctions, while simultaneously encouraging provocative military action on Russia's borders?" Khrolenko asked. As far as Ukraine was concerned, Khrolenko warned that as the US and its allies continue rearming, reshaping and reorganizing the country's military along NATO standards, while the failure of the Minsk agreements to succeed with their primary responsibility (keeping the peace) becomes more and more of a possibility with each passing day, Moscow faces losing the initiative. "What are we waiting for? The loss of the political initiative is the beginning of a military defeat," the journalist concluded.